Operations is concerned with the production of products, managing the overall quality and creating services effectively, and so more. The concept of operations management is concerned with the covering the major sectors like hospitals, banking systems, companies, working with the customers, suppliers, and the utilization of technology. 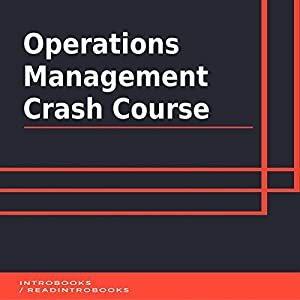 Operations is considered to be one of the significant functions in any organization in addition to the effective supply chains, finance, human resources, and marketing. The function of operations management would include the management of both the strategic as well as the day-to-day manufacturing of the goods and services. One of the key developments in the operations is concerned with the increasing importance of the operations of the services as the service industry that would account for the increasing proportion of the given output of the industrialized economies. While the operations in any organization might be responsible for the production of the different products and services, it would need the support as well as the input from the other fields of the organizations. The business organizations need to focus on the overall operational development process to ensure the seamless functioning of the different areas of the business organization. Therefore, it is imperative of the business owners to pay attention to effective operations management to ensure the success of the given.